Spring/Summer 15 at Adidas has never been brighter. The new Pop Art inspired Rita Ora x Adidas Originals collaboration has just hit the shops and it will wipe away any residual winter blues you might have. 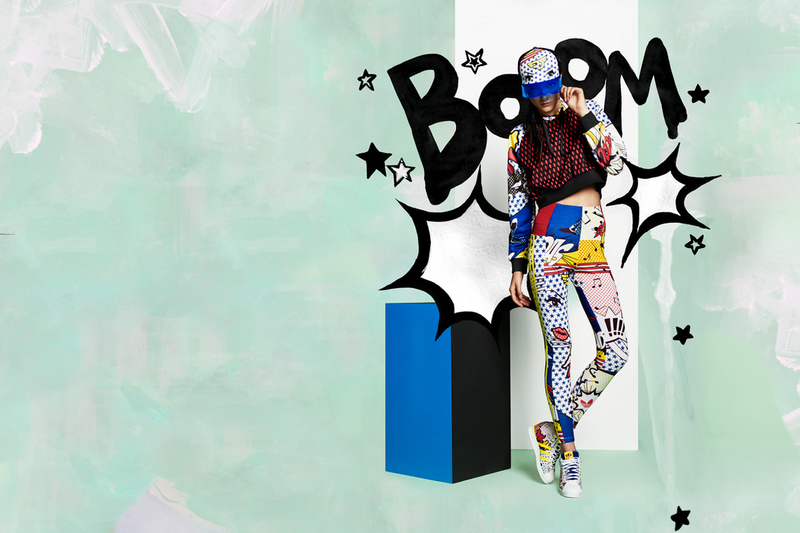 From super high leggings and cropped tees to the dare to wear All-in-one these pieces are guaranteed to brighten any sports wear enthusiast. Price ranges from £26 for Super Logo Leggings up to £110 for the Super all-in-one. Previous PostZoolander 2 – It’s Official!